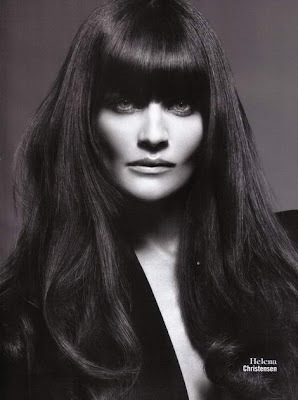 Ode to one of my all-time favorite supermodels, Helena Christensen (part of my personal ultimate trifecta: Eva, Helena and Amber, though i know this subject will be debatable to many of you, but hey to each their own!). Do i even to explain myself here? Her beauty is indescribable. It's hard to put into words they way someone captures the camera with their eyes and presence the way Helena does. And to this day she hasn't lost any of it. Case in point: Ed Westwick.